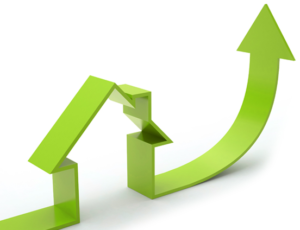 South Florida Median Home Price Jumped 21% in December 2012 | The Law Office of Emil Fleysher, P.A. South Florida Median Home Price Jumped 21% in December 2012 | The Law Office of Emil Fleysher, P.A. The year 2012 was expected to be a good one for residential property values in south Florida and it did not disappoint. The median prices of south Florida homes rose again in December, up 21 percent from December a year ago to $230,000. After a long downturn, home prices climbed steadily throughout the year 2012 with December at the peak. Median prices of Palm Beach County homes also rose by 21 percent in December, reaching $229,750, according to the Realtors Association of the Palm Beaches. The number of sales and the prices of existing condominiums in Palm Beach and Broward Counties also rose in December. Limited inventory helped to stabilize prices but it also created limited opportunities for buyers. The properties that were available for sale often had both first time buyers and experienced investors making offers against each other. According to Zillow.com, 2013 is expected to continue seeing a strong recovery in home values but at a more sustainable pace.